Turkish Prime Minister Binali Yildirim stated that Turkish citizens will go to ballot boxes and change "coup-produced constitution" during referendum on April 16. MOSCOW (Sputnik) — The Turkish referendum on constitutional changes, envisaging transition to a presidential form of governance, will allow voters to change the unlawful constitution that had been introduced after the overthrow of the government, Prime Minister Binali Yildirim said Tuesday. 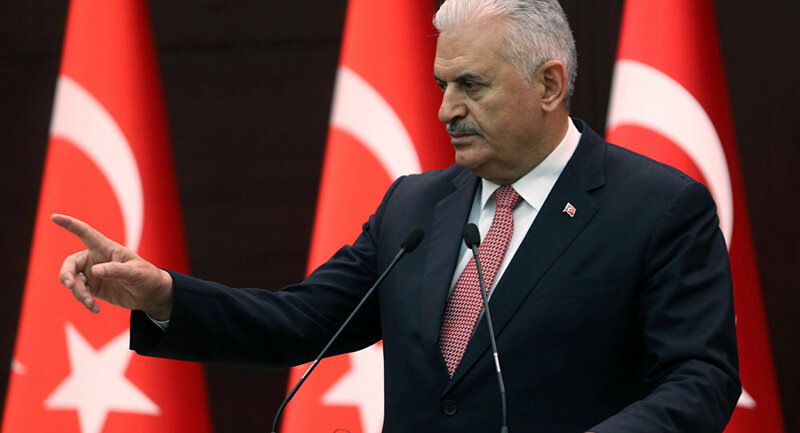 "On April 16, citizens will go to ballot boxes and change this coup-produced constitution," Yildirim said during a meeting of Justice and Development (AK) Party lawmakers in the parliament, as quoted by the Anadolu news agency. The current constitution of 1982 was ratified by popular referendum during the military junta of 1980-1983 and substantially changed by now, including through referenda of 2007 and 2010. The referendum on handing wide-ranging executive powers to the president is supposed to take place on April 16. The proposed constitutional amendments, greenlighted by parliament in January and signed by Turkish President Recep Tayyip Erdogan in February, are regarded by Turkish opposition as an attempt of the president to boost his powers, although Yildirim expects them to put more power into the hands of ordinary voters who elect their government and president.